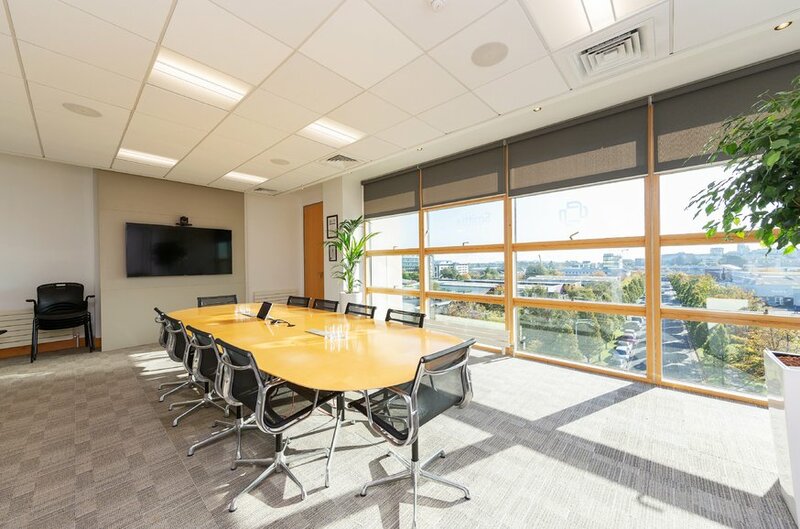 Sandyford Business Park is located approximately 8km south east of Dublin city centre and is considered the premier suburban office location in South Dublin. 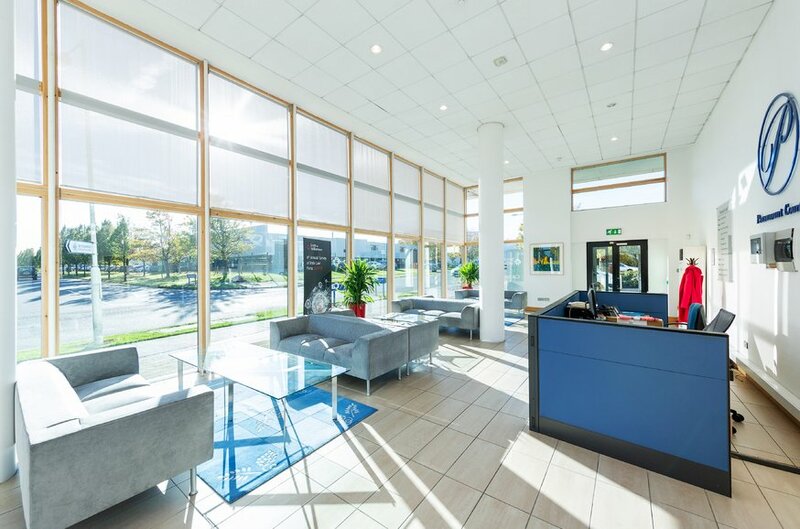 The area benefits from a wide range of amenities including the nearby Beacon South Quarter, Beacon Hospital and Hotel. 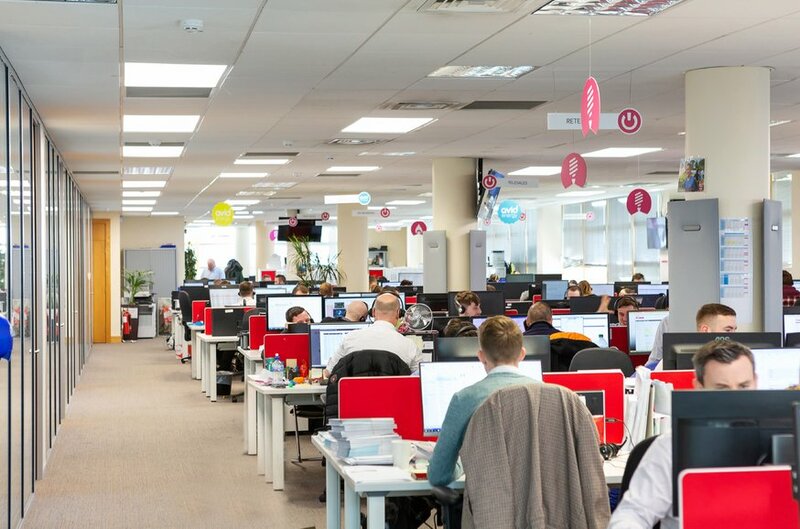 The excellent transport infrastructure in the area underpins occupier demand for office accommodation within the park. Major occupiers within the park include Microsoft, Google, Computershare, Grafton Group PLC, Regus, Chill Insurance, Dun and Bradstreet, Bank of America Merril Lynch to name a few. 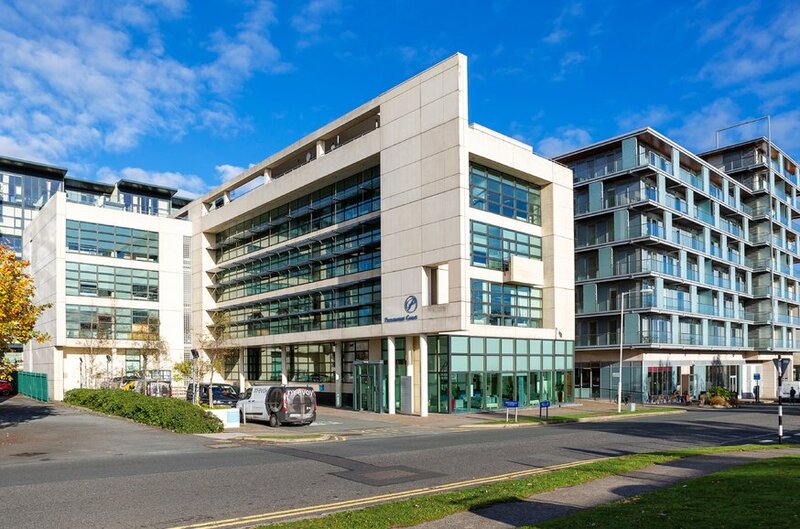 Paramount Court is a high profile office development situated in the centre of Sandyford Business Park overlooking the junction of Corrig Road and Three Rock Road, just north of Blackthorn Drive. 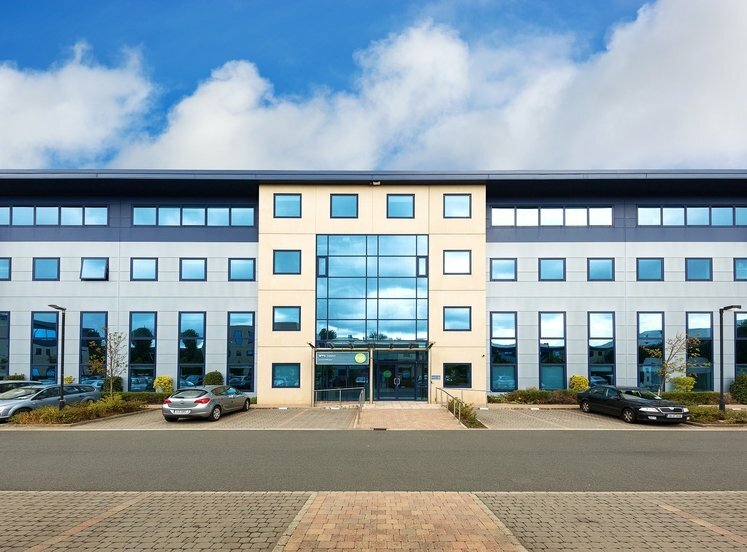 The building is multi-tenanted with occupiers including Hamilton Young Architects, B2E “The HR Company” and PrePay Power Limited. The M50 motorway is located 1km south of the property and provides direct access to the country’s main roadway network. The LUAS Green line station is just 650m north of the property, providing commuters with a 20 minute travel time to Dublin city centre. There are also numerous bus routes providing transport to and from the city centre and onwards to Blackrock and surrounding suburbs. 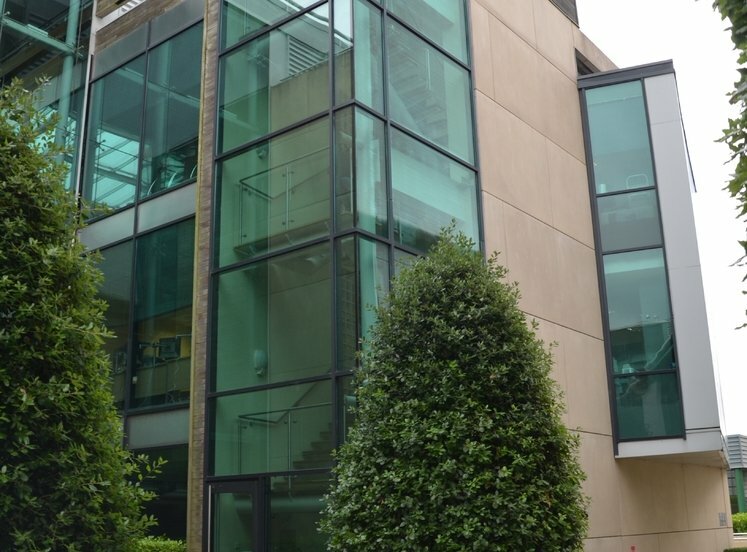 The property comprises the second and third floor within the Paramount Court development constructed c. 2002. The sale also includes 40 no. car parking spaces situated at basement level. 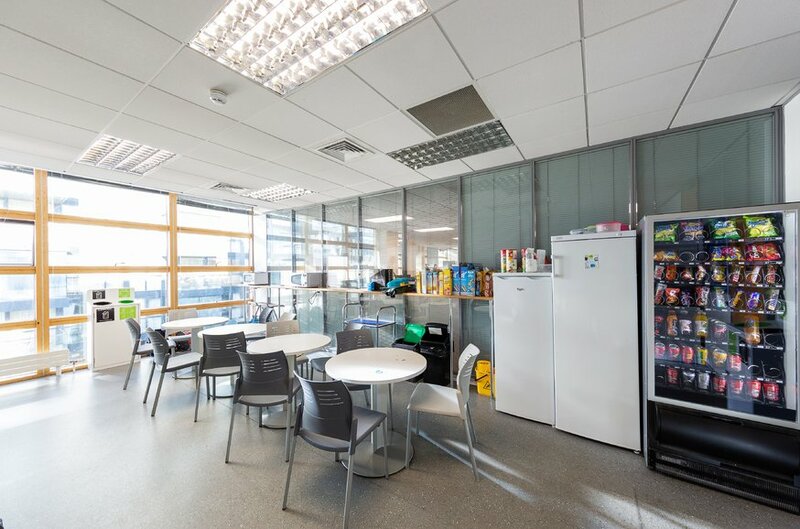 Access to the office accommodation is provided via the main shared reception area at ground floor level and from the basement using the two passenger lifts or main staircase within the building. 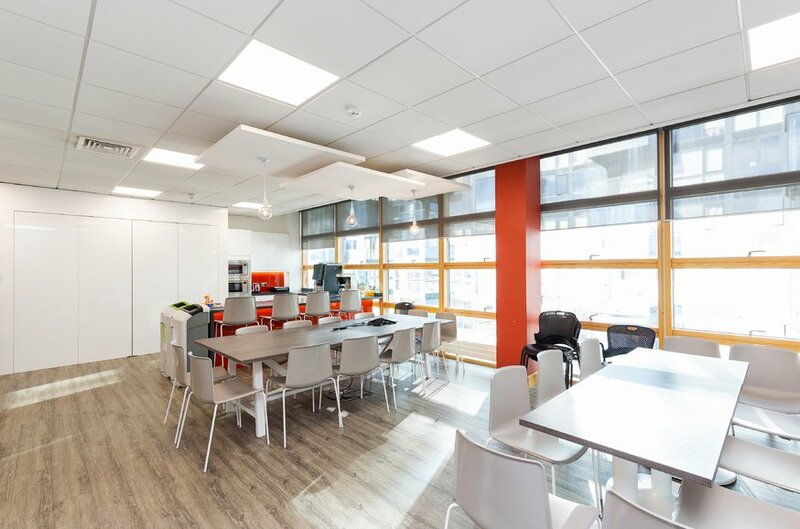 The office floor plates are “L” shaped and provide for a mixture of open plan and cellular office space and kitchenette facilities. Two six person elevators serve the entire building. 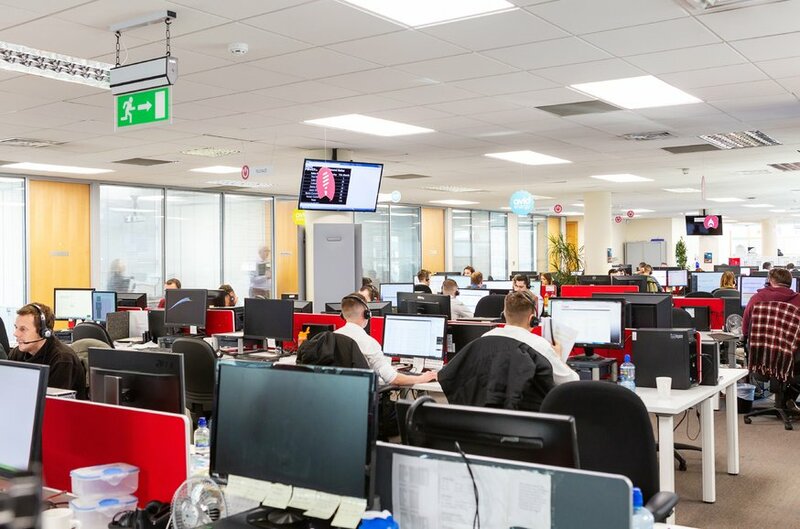 Each floor provides for steel raised access floors, with high power data cabling, suspended acoustic ceiling tiles and temperature is regulated via recessed air handling system. Toilets are provided in the entrance hall upon exiting the elevator system. All intending purchasers are specifically advised to verify the floor areas and undertake their own due dilligence.